Hello friends, it’s Smitha here with a new blog post! 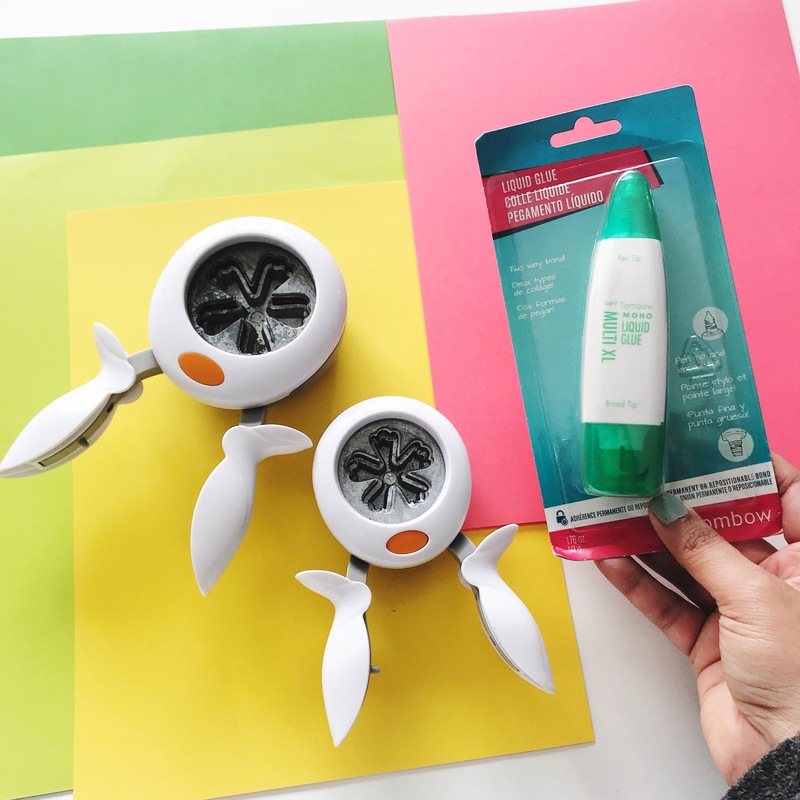 March is National Craft Month, so this week the Design Team is getting a head start on crafting. 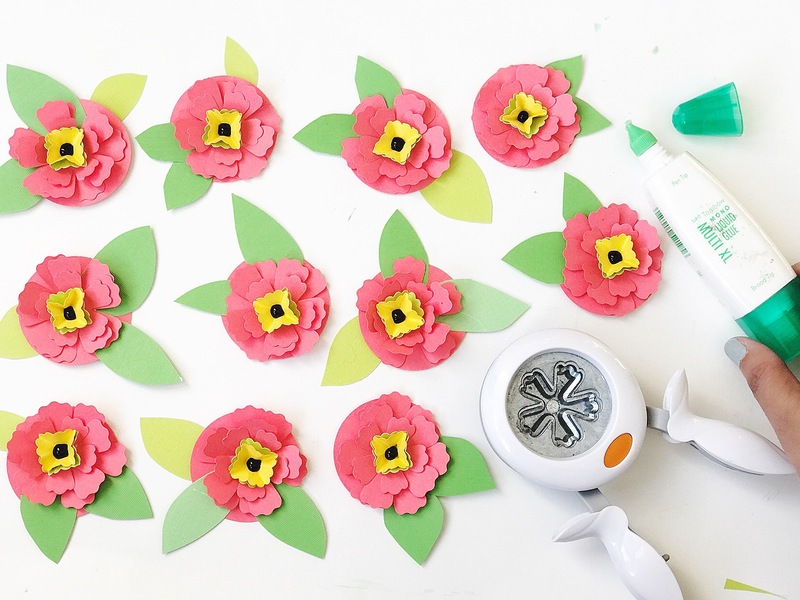 Today I’m pulling out my paper and glue to make something I love – paper flowers! Tombow MONO Multi XL Liquid Glue. 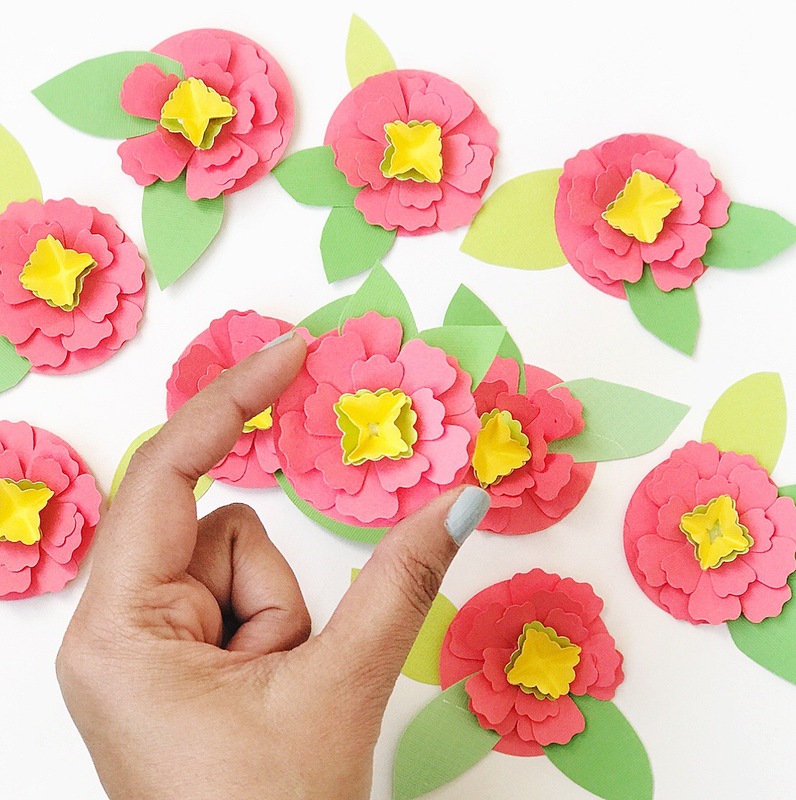 Punch of die cut your petal shapes from your cardstock. 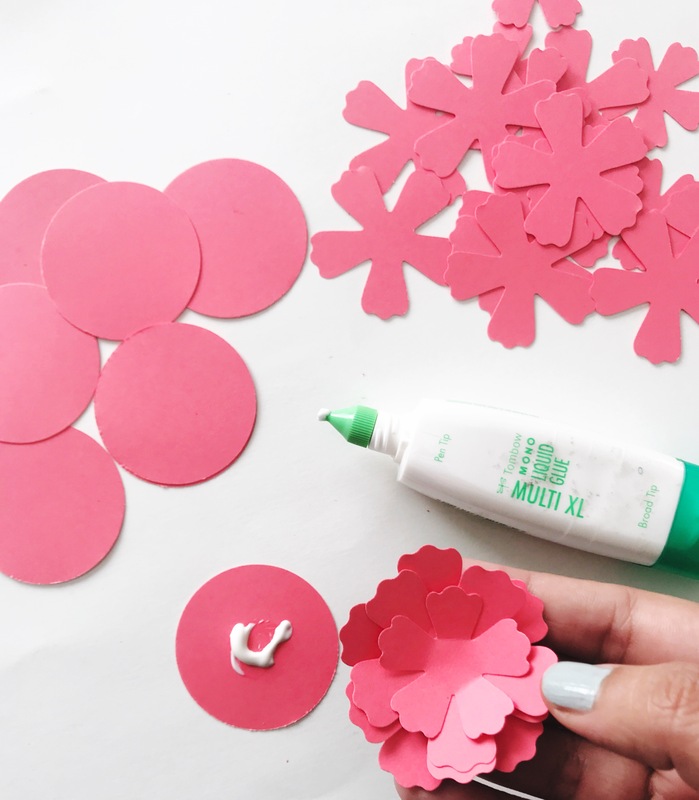 To glue the layers of petals on top of each other I add a small dot of the Tombow MONO Multi XL Liquid Glue in the center. A little bit of this glue is all you need, it will dry to form a great strong bond. While gluing my layers of petals. I like to give the cardstock a bit of dimension by folding the petals inwards a bit. 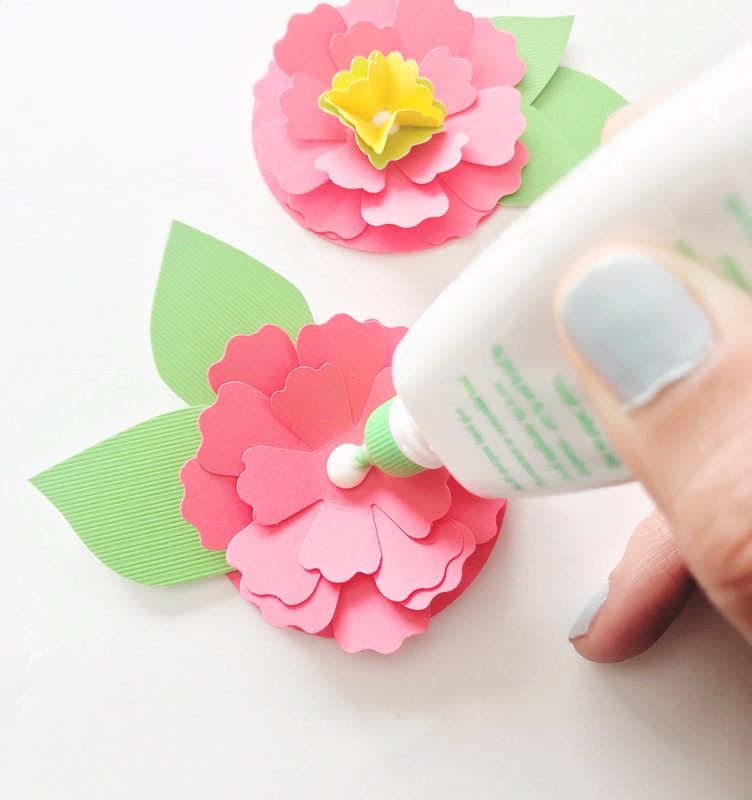 Just this small detail can add a lot of depth to the finished flower. 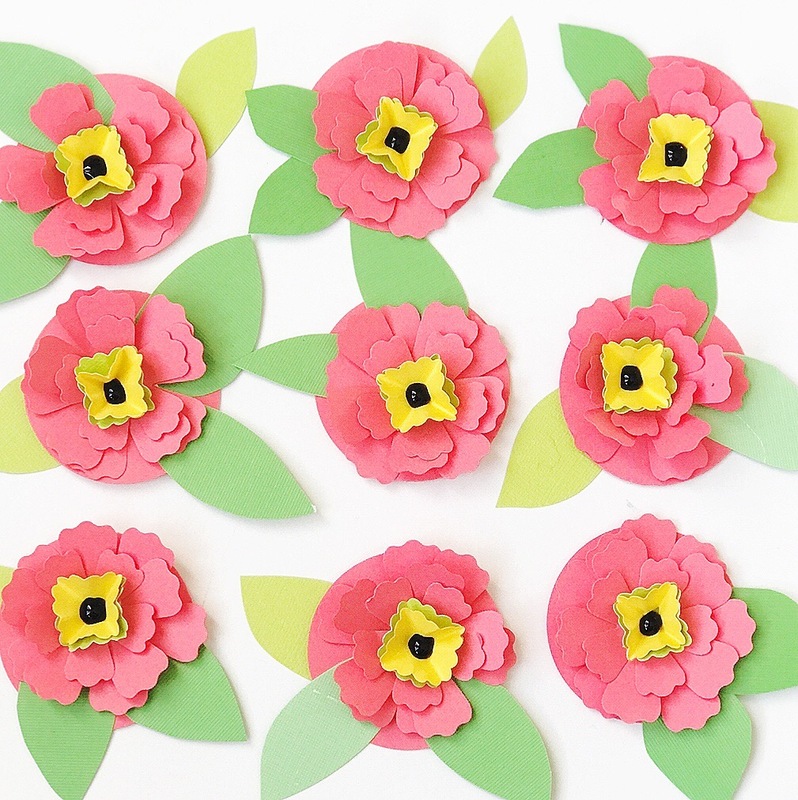 For the centers of the flowers, I folded circles and adhered them with more glue. I went ahead and created a bunch of flowers! 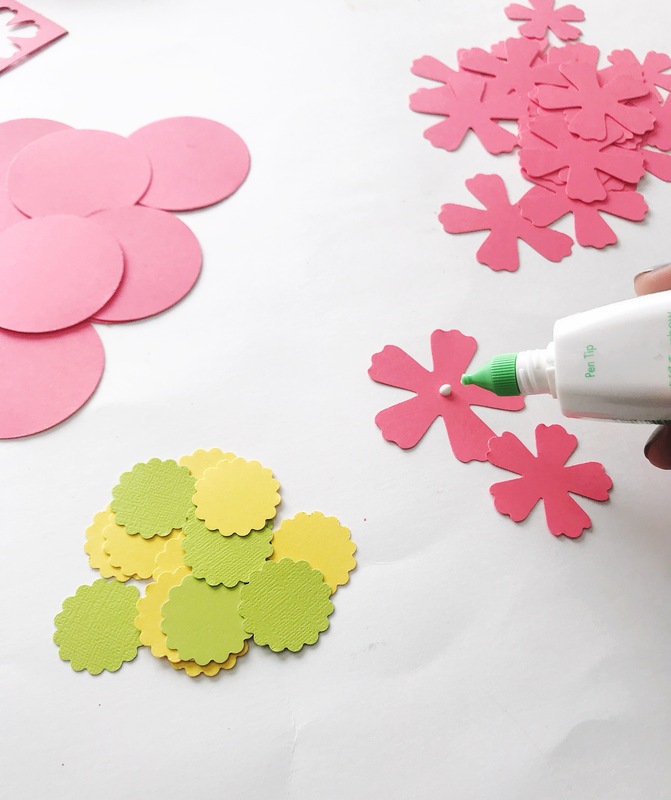 Do make more than one it becomes easy when you create an assembly line – punch all the petals, glue them down and then add the centers. Finally, don’t forget to add those green leaves! They make the flower pop. Also, remember to always some contrast to the center – I like adding a drop of black dimensional paint. What will you be creating for National Craft mMonth? I always make flowers, flowers just make me smile.